Dr. Michelle applied to veterinary school after pursuing her studies in Biology and Geology. A native New Brunswicker, Dr. Michelle graduated from the Atlantic Veterinary College in 2004. Why did she become a veterinarian you ask? Well, she knew some day she would have to work- and since she was to spend so much of her life at work, having a rewarding career was important to her. What better choice than veterinarian? Dr. Michelle loves that on any given day she is a detective, a surgeon and on the receiving end of puppy kisses and kitty “head butts” the next. Dr. Michelle shares her life with: 1 cat (Mojo, an FIV positive cat), 1 dog (Lincoln, a Boxer) and her husband Chris- a Bradford boy – and daughters Sophie and Alexandra. In her spare time she enjoys traveling, camping, gardening and cooking. Dr. Michelle is very excited to be fulfilling her dream of starting her own practice here in Bradford. 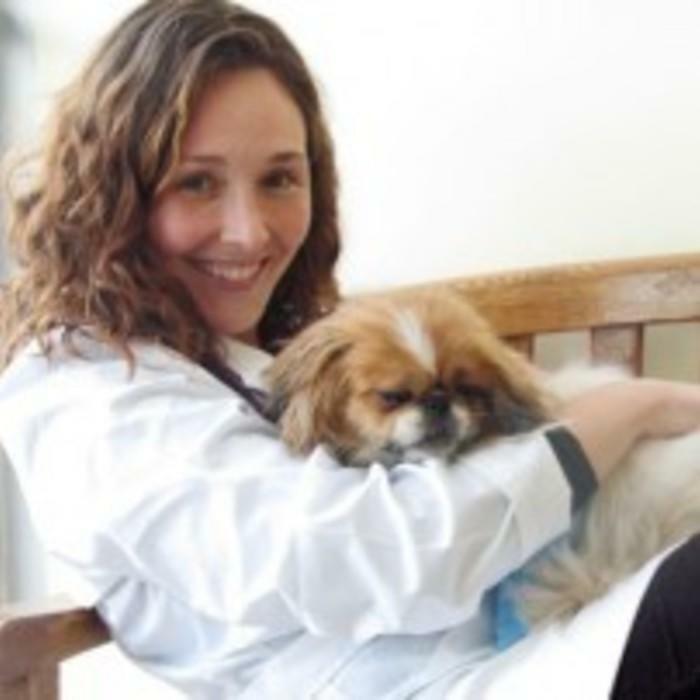 Dr. Becky comes to us with 10 years of experience in small animal practice. She knew she wanted a career in Veterinary Medicine from a very young age. When she was 14, Dr. Becky got her first job in a Veterinary clinic as a kennel attendant. She graduated from OVC in Guelph in 2006. During her studies at OVC, Dr. Becky travelled to Argentina and Chile where she was involved in rural spay/neuter programs to help with growing over-population of animals. She also volunteered at the Mendoza Zoo in Argentina where she cared for multiple zoo animals, and even assisted with the treatment of an injured lion! Dr. Becky grew up in the GTA and currently lives in Bradford with her husband, 3 children and several pets. In her spare time she enjoys reading, ice skating, camping, and spending time with her family. Miranda grew up in Richmond Hill with a passion for animals. She grew up owning many types of animals throughout her childhood. 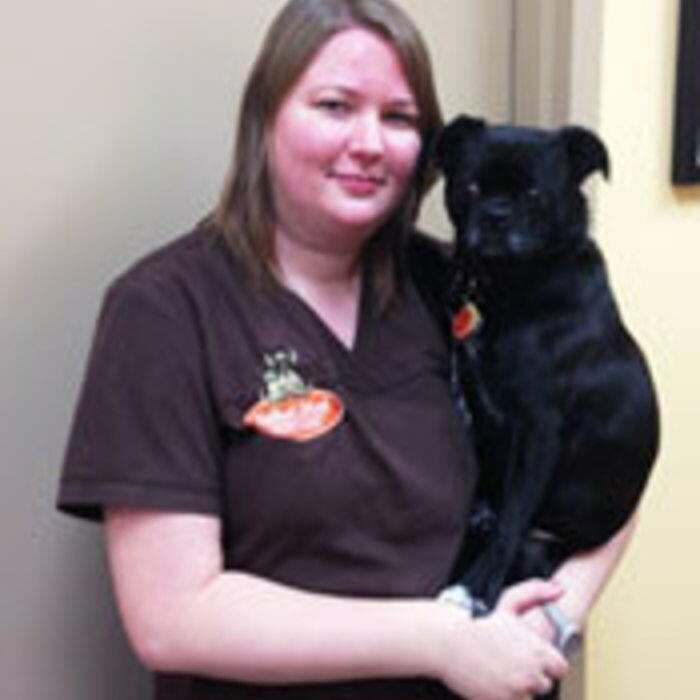 Miranda went to Seneca College and completed the Veterinary Technician Program in 2010, and she joined the Holland Street team in September 2014. Her favourite part about working in Veterinary Medicine is interacting with the clients and patients. She shares her home with her 2 daughters and husband, 2 cats, and 2 Bulldogs. In her spare time, Miranda enjoys being with family, watching movies, playing video games, and reading. Always having pets growing up, Elly knew her love for animals and science would lead her to a career in the veterinary field. She graduated from Georgian College’s Veterinary Technician program and has worked in companion animal medicine for over 5 years. Almost all of her life she has lived in Bradford except for the last year when she lived in St. Catharines. It was there that she was introduced to companion animal rehabilitation which Elly developed a strong interest in and now hopes to pursue certification for. Outside of work, you can find her with her significant other Chris and their friends playing video/board games or some sort of sport. She has 3 fur babies (all cats) who live with her named Odin, Yennifer, and Sylvester as well her part-time children at her mother’s, a Cockapoo (Ruby) and another 2 cats (Otis and Ender). Rebecca has always had a deep love and interest in animals since she was very young. Initially she had dreams of becoming a Veterinarian, but as the years went on her interest switched to pursue a career as a Veterinary Technician. Rebecca attended Georgian College and graduated from the Veterinary Technician program in 2014. Shortly after, she completed the process of becoming a Registered Veterinary Technician. Rebecca happily joined the Holland Street team in March of 2017. She shares her home with her amazing husband Jesse and their adorable fun-loving cat Mittens. They also have 3 part-time cats named Sapphire, Sylvester and Ninja who live with Rebecca’s mother. In her spare time, she enjoys spending time with family, soaking up the sunny days, partaking in outdoor activities like camping, swimming and the occasional wood staining of furniture her husband builds. Tayler grew up on a farm where she developed a love for animals small and large. Tayler graduated from the Sheridan College’s Animal Care Program in 2015 and then went on to the Veterinary Technician program at Seneca College and graduated in 2017. She became a Registered Veterinary Technician in the Summer of 2017. In her spare time, she enjoys horseback riding, fishing and baking. Tayler has 2 horses of her own, Maya and Sassy, and a Bernese Mountain Dog named Tucker. She also has a cat named Cody, a bunny named Maggie, and more furry friends including a donkey, llamas, goats and a few barn cats. 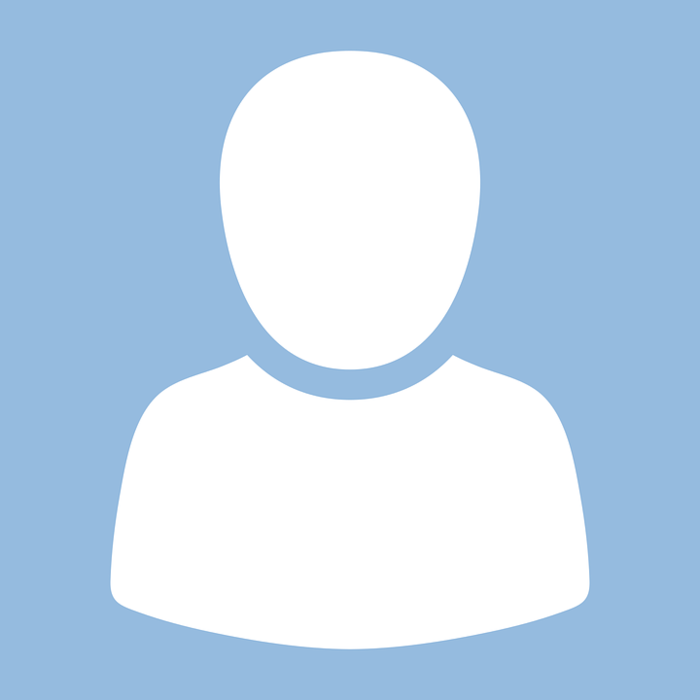 Julie is no stranger to business in Bradford as she has been managing businesses in the community for over 10 years. Julie went to College and University for Business and trade schools for Beauty and Etiquette. She then started a career in the performing arts and beauty industry where she discovered her love for people and business. She began to find that the key to success was using her own unique strategies that focus on hand-crafted business systems with importance on employee wellness, which seemed to be the missing piece for business owners in a variety of industries. 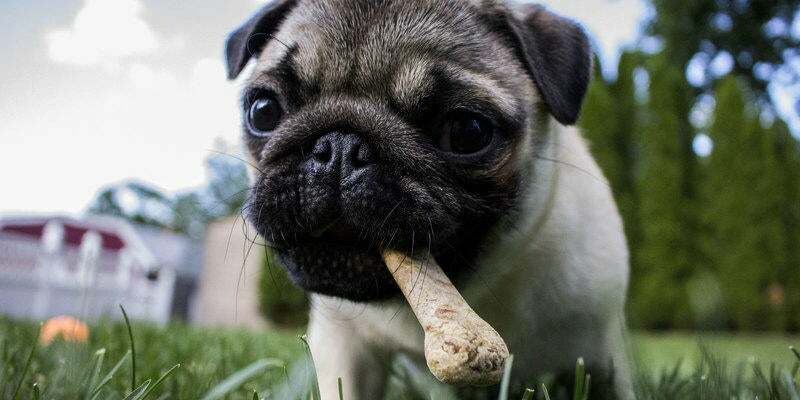 Julie transitioned into the pet industry in 2011 when she managed a successful pet supply store and grooming salon. During this period, Julie came to know Dr. Michelle and Loren. They approached Julie about joining the team at Holland Street Veterinary Services. Julie lives in a zoo. She has 2 dogs, 3 cats, many children and her husband. When she is not managing the clinic, you will find her being Mama Jules to her children and all of their friends. Loren is a receptionist at Holland Street Veterinary Services and has been at the clinic since day 1. She loves seeing the growth in the clinic and all the relationships she has formed with clients and their pets. Loren grew up in Ontario and New Brunswick, and she went to College for Medical Office Assistant. After time in the human care and transportation logistics field, Loren has decided that the Veterinary world is where she wants to be. Loren has 2 kids who are very active, her daughter is an avid dancer and her son plays rep baseball. If she isn’t at the clinic, the ball diamond or the dance studio you can usually find her in sunny Florida relaxing on the beach. Autumn is the newest member of our clinic. She has been raised around animals her entire life and works independently as a dog walker. Though she has 5 animals in her house, one of the cats named Beetlejuice belongs solely to her. “Beetles” is Autumn’s shadow and the two of them are always together. Dr. Michelle discovered that Autumn has a natural ability to calm animals down and to communicate with them. Autumn is a senior in High School and when she is not working at the clinic or in school, she likes to spend her time singing, playing soccer and napping. In the future, Autumn hopes to pursue both business and education in the Veterinary field. My cat has Ben coming to this vet for about four years now and they are so attentive and caring team. Even though it’s not his favourite place to be at, they always welcome him with open arms. He recently became ill and it was Dr. Beckie who identified the issue and nursed him back to health. I can’t thank u enough for the care and follow up.